Among acres of berry vines and apple trees in Skagit Valley, you’ll find Richard Sakuma tending to his tea plants. Sakuma is a third generation Japanese-American. His family has been running Sakuma Brothers Farms for more than 85 years. 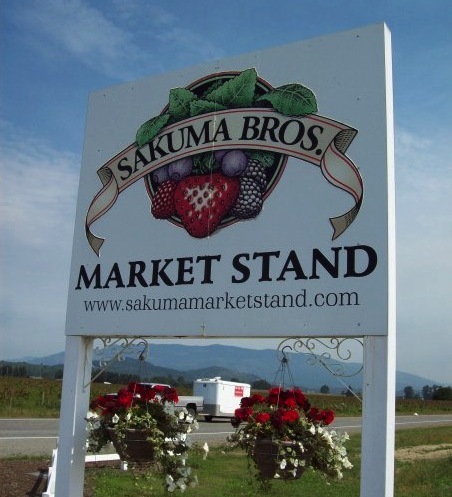 These days, Sakuma and seven cousins farm more than 700 acres of strawberries, blueberries, raspberries, and apples in Burlington. 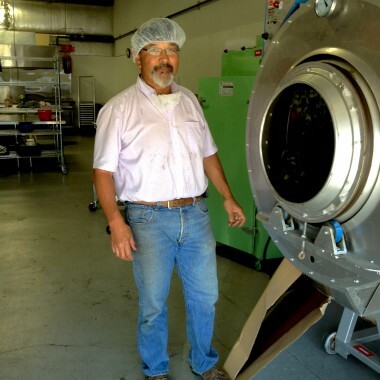 When a couple of guys from Oregon talked to Sakuma about their vision to create a tea-growing region in the Northwest, he jumped at the chance. 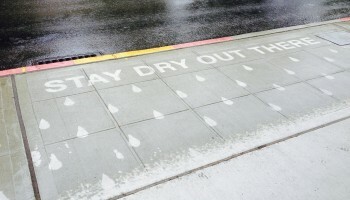 “I like to do unique things, trying to create or do something that’s not common,” said Sakuma. 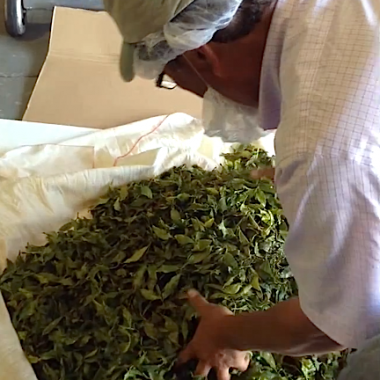 Sakuma is one of only four tea farmers in the country. There are two plantations in the south and a tea co-op in Hawaii. 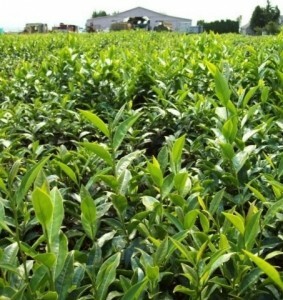 The farmer knew he was taking a big risk 15 years ago when he planted a few dozen Camellia sinensis. That’s what tea is made from. The bushes, with their shiny leaves and rubbery texture, stand about 3 feet high and are a relative of the garden Camellia. You can create any type of tea from the Camellia sinensis plant. 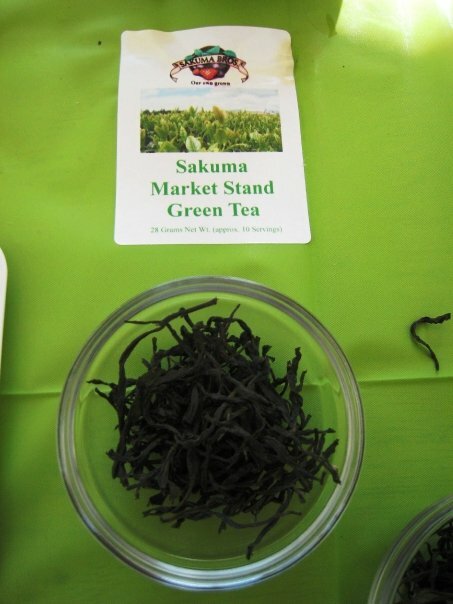 Sakuma makes green tea, oolong, and white tea from his crop. What makes the teas taste differently is the process used, more specifically the variations in oxidation and exposure to air. Green tea, for instance, requires almost no oxidation. And that’s what Sakuma was making the day I visited. 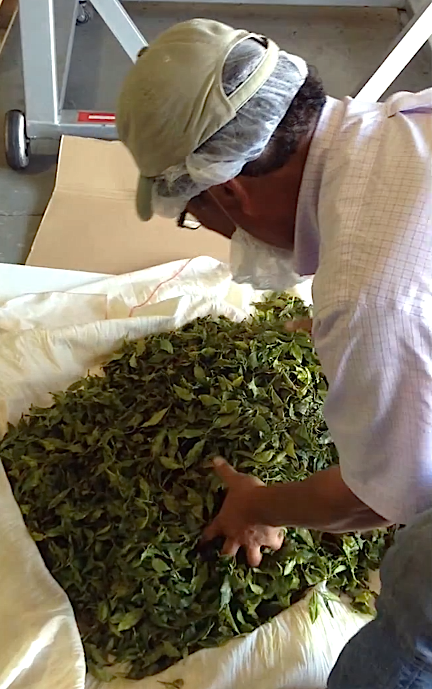 We started by harvesting the tea leaves. Those growth spurts are called flushes. Sakuma is able to get three flushes in a growing season. 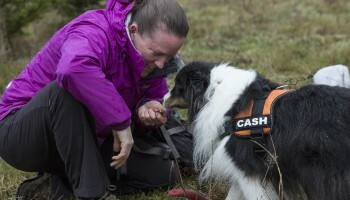 He usually handpicks the harvest and says one person can average around 5 pounds of leaf per hour. His yield last year totaled 150 pounds, and he’s already well over that this year. To make green tea, as soon as the leaves are plucked, Sakuma trucks the batch to a nearby commercial kitchen where he stores his equipment. 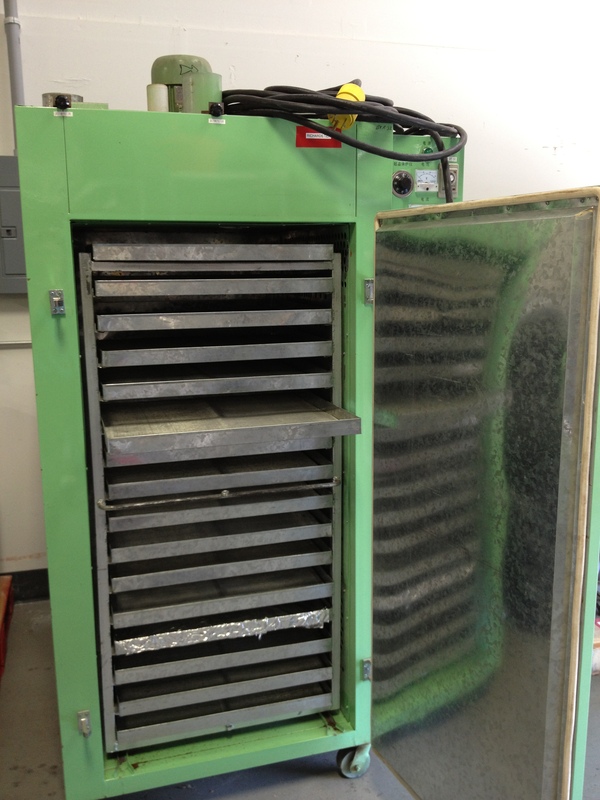 He has a baking machine and a dryer that he ordered from a company in Asia. 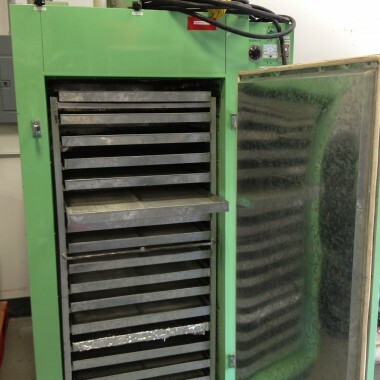 He fires up the baking machine, a 7-foot-long cylindrical tube called a “panner,” and tosses in the leaves which then heat up and tumble in a rotating drum. 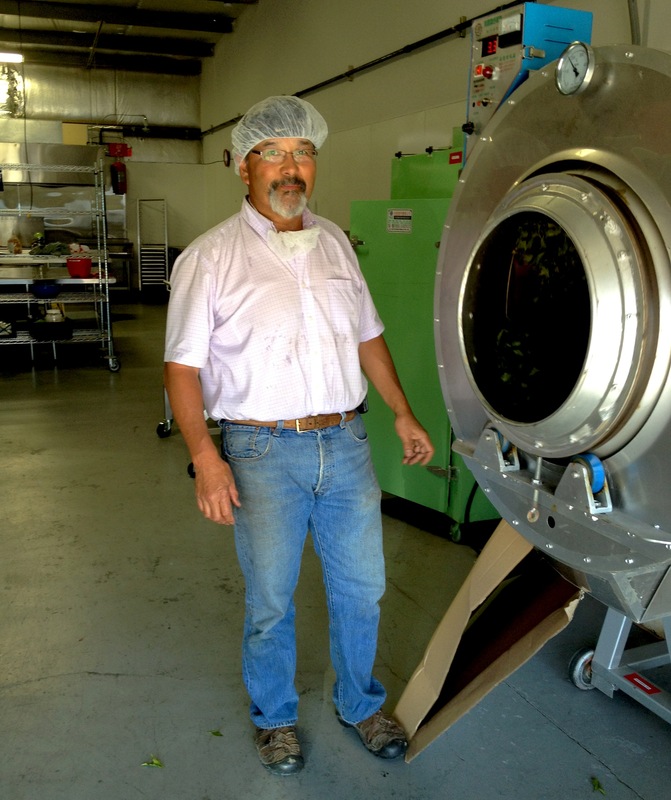 Richard Sakuma stands next to the panner, which is slowly spinning and roasting tea leaves. After about 10 minutes, Sakuma tips the panner and spills out tea leaves onto a muslin cloth. 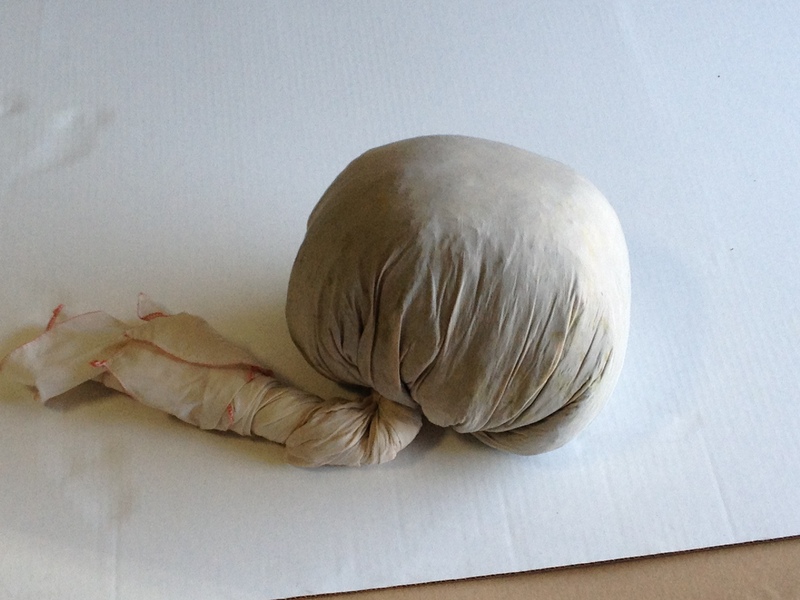 Sakuma wraps the tea leaves in a ball shape. 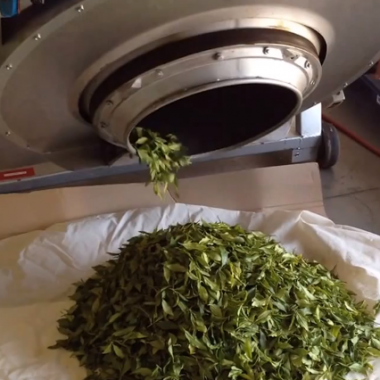 Once processed, the tea leaves go into the dryer. 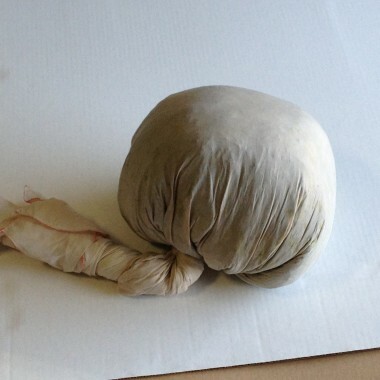 When the tea leaves have roasted for about 10 minutes, Sakuma tips the panner, pours out the leaves onto a muslin cloth and spins the cloth into a ball—a technique he learned from tea masters in Taiwan. 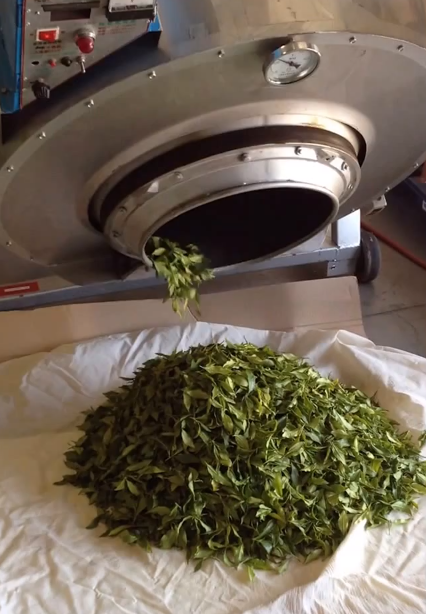 The tea leaves are dried and roasted slowly to remain fully intact, which is an indication of a higher-grade tea. 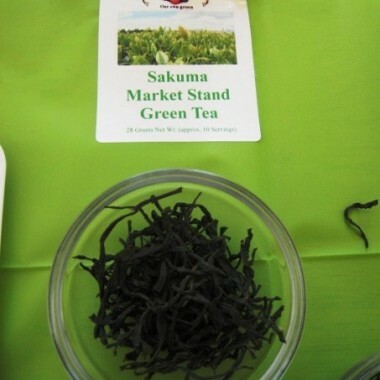 Sakuma says his tea-making skills still involve frequent trials and errors, but his teas are gaining in popularity. And it turns out this is a good place for growing tea, with our cool, gentle climate. Other smaller tea farms are popping up in Oregon and Victoria, B.C. 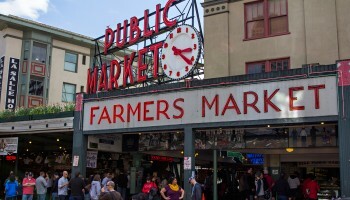 But Sakuma sees himself as a pioneer, starting the tradition of tea growing in the Pacific Northwest. I would like to try to grow and process tea. I can sell it in my stores. Do you think the Sakuma Brothers would help me ?